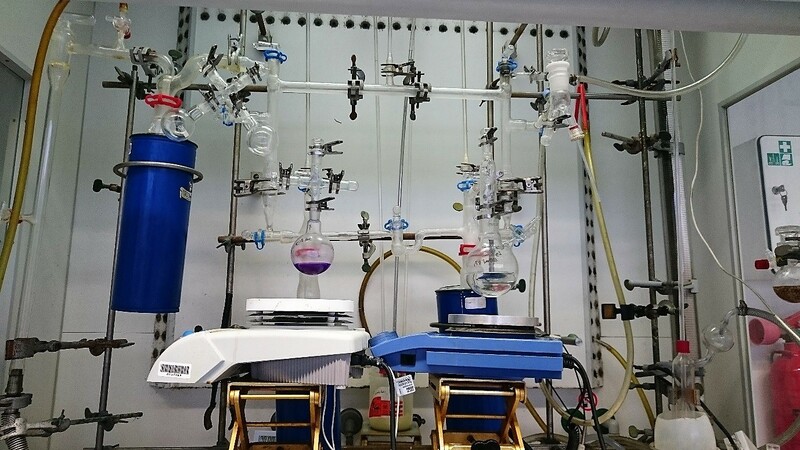 Beside a variety of specialized labs, the working group Mathur also operates five laboratories exclusively for chemical synthesis. Nearly all our fume hoods are equipped with modified Stock vacuum lines. While related to the more common Schlenk line technique, the all-glass Stock apparatus offers advantages for handling chemicals and performing reactions under inert conditions. 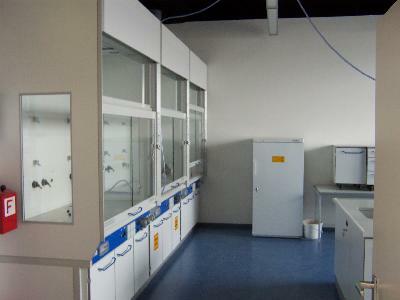 The use of rotatable glass-crosses enables easy preparation and mixing of starting materials. Specially adapted glassware also allows all common purification methods (e.g. 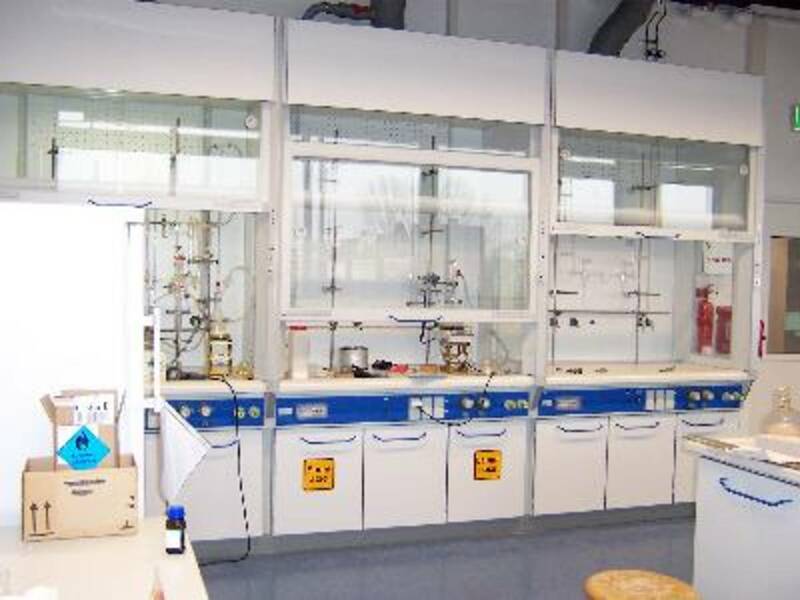 distillation or sublimation) or NMR sample preparation under nitrogen atmosphere.